Interested in learning how podcasting can make you a more confident person? Then this episode of Should I Start A Podcast is for you. In this show, I had the unique pleasure of talking to a good friend of mine, Emma Franklin Bell. Emma has so many projects it is difficult to keep track of them all. 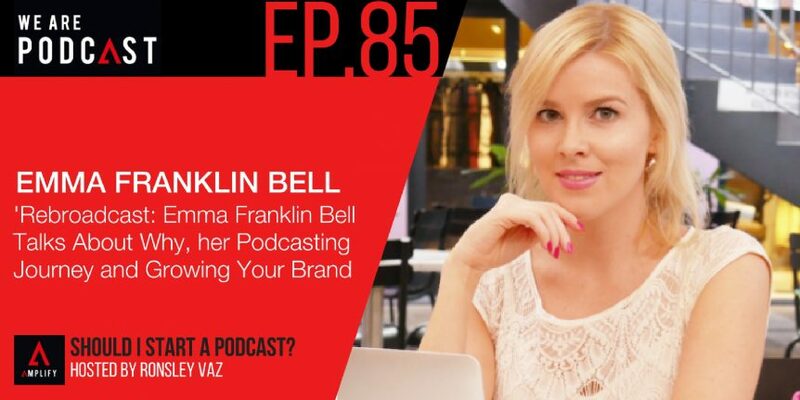 She is a podcast host, artist, entrepreneur, author, teacher and the creator of The Beautiful Business Academy. Emma spent 20 years in the performing arts industry (mostly classical ballet) before branching out into entrepreneurship and book writing. Emma is the author of Your Beautiful Business and How to Run a Preschool Dance Studio, both of which have been extremely well received globally. She's been featured on numerous podcasts and built up an impressive following for her show, The Ladies Lounge.